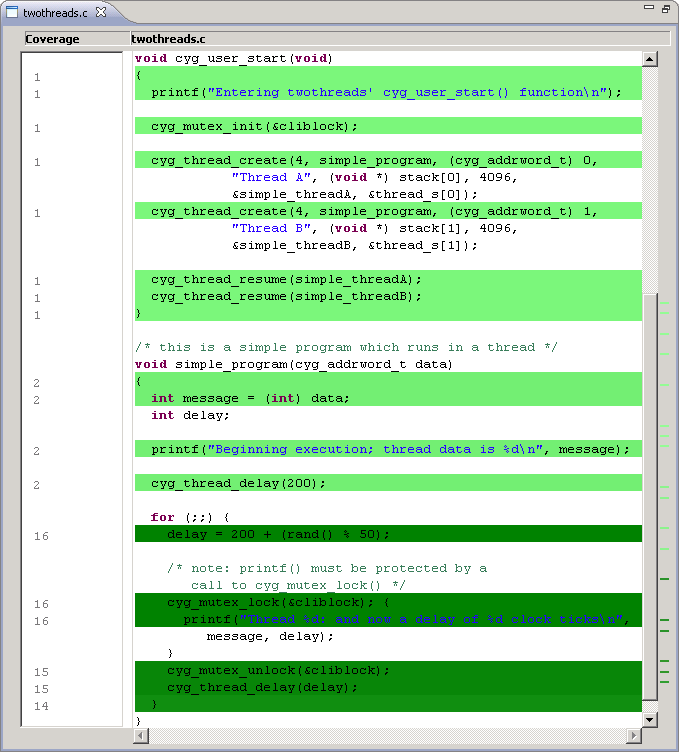 In the above screenshot, code coverage data for both the example application code and the eCos kernel package may be observed. The Code Confidence Tools also enable the rapid retrieval of statistical profiling data. Such data may be generated using a profiling timer running on the embedded target, or (non-invasively) using a suitable hardware debug adapter. For details of compatible hardware, please contact us. 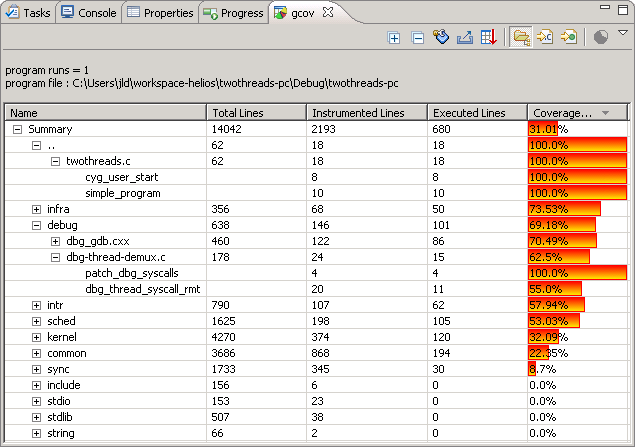 In the above screenshot, it can be observed that the application is spending the majority of time executing the hal_idle_thread_action function. Significant time is also spent in the delay_loop function.